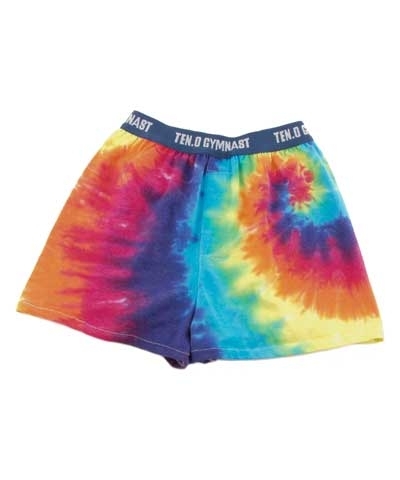 Special order pants. This item can take 1-10 days to ship. 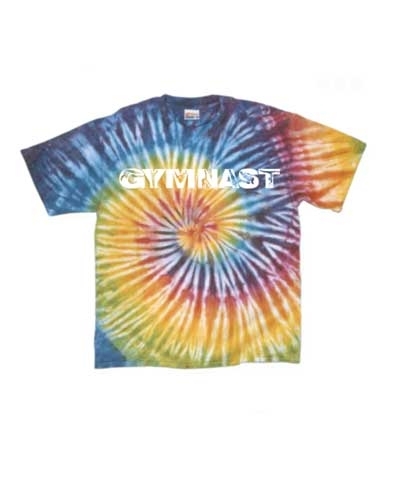 Please be sure of your size, logo and color before ordering. We are unable to accept returns or exchanges. 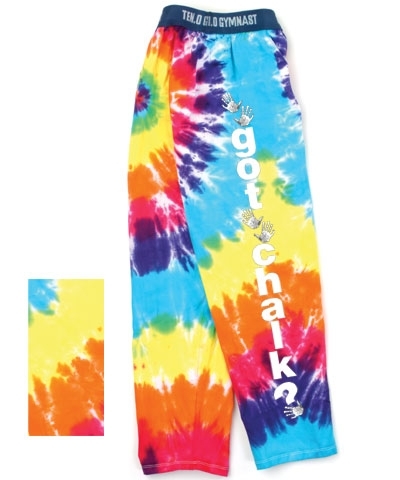 Customized Kaleidoscope Tie Dye Gym Jammies. 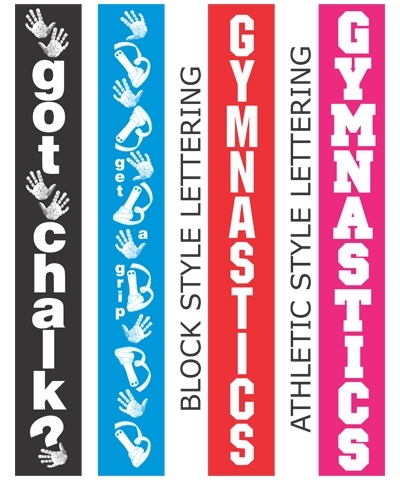 Choose the size and then choose your logo from: Got Chalk, Get A Grip, or Gymnastics in either block style or athletic lettering.